Building your own custom home is a major undertaking and should only be done after you’ve done some serious soul searching and your homework. If you’ve never acted as a general contractor or have limited experience in the home building industry, seriously consider enlisting the services of a professional general contractor for custom building your home. So often well intentioned people jump into building their own custom home and find themselves running short on funds, and experiencing severe schedule overruns. Custom building your home typically involves working with an architect to develop house plans. And there are many decisions to be made. Everything from the square footage of the home, to the number, types and sizes of rooms, to eventually the types of kitchen cabinet knobs need to be decided. The cost of custom designed house plans can be as high as 5 to 10% of the overall cost of the home. Also, total land costs are often not fully appreciated. A buildable lot needs to have septic services, water, and electricity. 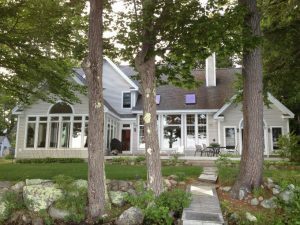 If the custom home is built in a rural area this means having to design a septic system, digging a well, and bringing in power to the building lot. If the building lot is in a suburban area then municipal services need to get tied into the home. No matter what type of building lot, there’s more to it than just buying the lot, and it all costs money and time. Building your own custom home also involves working with many sub-contractors, such as carpenters, roofers, floorers, plumbers, masons, electricians, drywallers, and insulators. You have to coordinate your custom home building project schedule with their schedules. In addition, you need to make selections for the various types of items they will install, such as plumbing and lighting fixtures. The decisions can become mind numbing and all consuming. Custom building your home also takes a long time. Unlike walking into a fully finished home, it can take 6 to 12 months to complete a custom home. With a custom built home, there are just a slew of tasks that need to be coordinated and completed. Unless you have experience in building homes it can take a long time, and a lot of money, to make sure the home gets built properly. Often a better alternative to building your own custom home is to buy a home in a new housing development where you can specify various features of the home and landscape. This way you get some customization without having to coordinate the work yourself. Alternatively, if you are hooked on building your own custom home, you may want to use existing house plans or plans that require minimal modification. 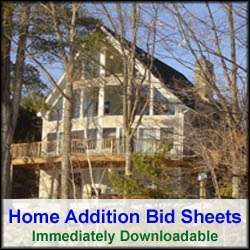 This way you can save tremendously on architectural plans. If at the end of the day you are still committed to building your own custom home then remember the simple fact that planning is everything. The more upfront planning you do, the more likely you will finish the custom building of your home in a cost effective and timely manner.